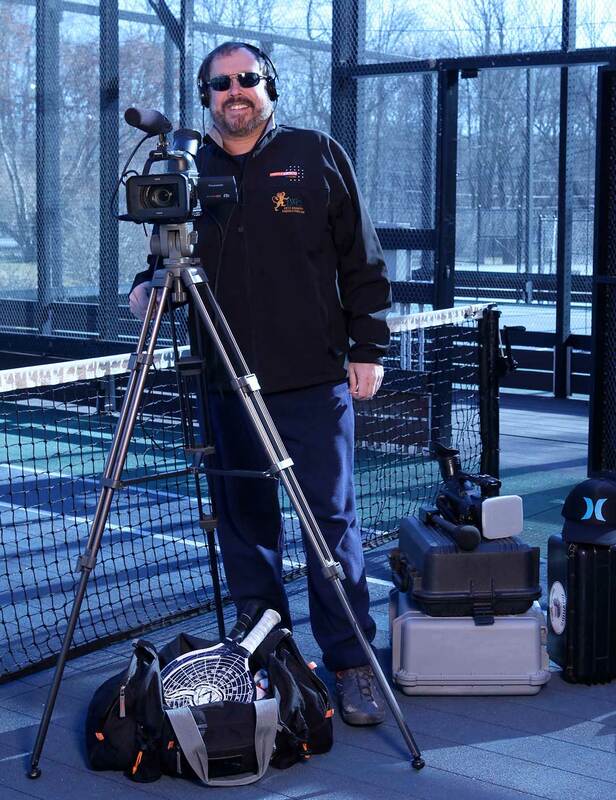 A strong club player, Hamilton counts a win of the Division 2 main draw at the Fairfield County Paddle Tennis League Tournament, as well as a back draw win at the Connecticut State Mixed Tournament, among his career achievements. Though Hamilton played hockey, lacrosse, and a little bit of tennis growing up and in college, he discovered paddle after graduating while working in the corporate world. Twenty years later, the sport continues to be a source of enjoyment for Hamilton, both on and off the court. Off the court, Hamilton’s company, YYR Productions, has produced two award-winning documentaries, numerous ads and web pieces, and recently signed a deal to provide content for car dealerships nationwide. I plan to play this game until I drop and keep filming the action, some of which can be found here on PaddlePlayer.com.